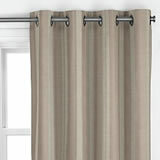 Very few fittings or furnishings can transform a room as completely as curtains can. 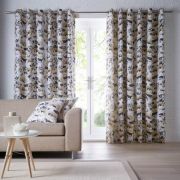 Curtains can add the finishing touch to a uniform colour scheme by showcasing and complementing the textures and hues used in upholstery and paint, or they can be a feature entirely unto themselves, acting as an eye catching splash of colour in an otherwise neutral setting. Kids Club Football Stripes Lined Curtains - 66" x 72"
Studio G Chelsea Heather Readymade Curtains - 90" x 72"
Studio G Chelsea Heather Readymade Curtains - 66" x 72"
Studio G Chelsea Heather Readymade Curtains - 66" x 54"
Studio G Chelsea Ochre Readymade Curtains - 90" x 72"
Studio G Chelsea Ochre Readymade Curtains - 66" x 72"
Studio G Chelsea Ochre Readymade Curtains - 66" x 54"
Studio G Tenby Indigo Readymade Curtains 90" x 72"
Studio G Tenby Indigo Readymade Curtains 66" x 54"
Studio G Tenby Indigo Readymade Curtains 66" x 72"
Readymade Blackout Lining - 66" x 72"
Readymade Blackout Lining - 90" x 72"
Readymade Blackout Lining - 90" x 90"
Kids Club Little Flowers Readymade Curtains 66" x 72"
Kids Club Farmyard Readymade Curtains 66" x 72"
Kids Club Patchwork Readymade Curtains 66" x 72"
Kids Club Dressing Up Readymade Curtains 66" x 72"
Kids Club Magical Unicorns Readymade Curtains 66" x 72"
Kids Club Maritime Readymade Curtains 66" x 72"
At Shoplinens.ie, we have one of the largest ranges of curtains and bed linen in Ireland. 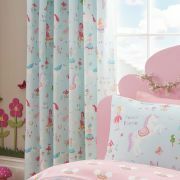 Maybe you’re looking for something to blend perfectly with a modern, minimalist room design; curtains in soft pastel colours, featuring soft, flowing textures. 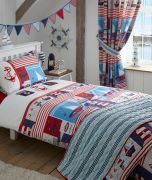 Or maybe you’re after curtains that will add a unique touch to a room that features edgy design and explosive colours. Either way, our comprehensive range of curtains online makes it easy for you to find exactly what you’re looking for. 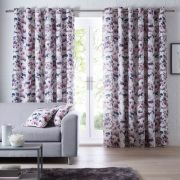 Choose curtains manufactured from high quality fabric, featuring gorgeous designs that will add that homely feel to your living room or bedroom, or try a deep, solid coloured, light reflective fabric that will add a touch of luxury and class to any room you use them in. 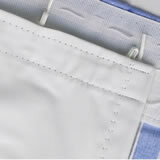 Our ready made curtains make for the ultimate in convenience. 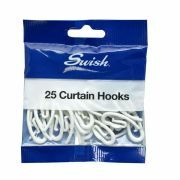 Simply mount your curtain rod, thread it through the pre-cut eyelets and hang. Your home will be transformed in no time. 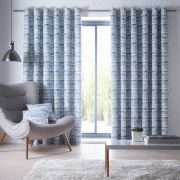 The functional aspect of curtains cannot be overlooked, and that’s why we also stock products like ready made blackout lining to supplement our range of curtains for sale. This significantly augments the thermal properties of your curtains and offers 100% blackout of the sun, the ideal solution for those who work night shifts or for rooms that need to be kept dark. All of our products feature uncompromising quality to provide you with years of good use. 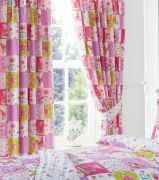 So browse our fine selection and order your dream curtains today.